1)What experience do you have in this(interior design) field? 2)Have you ever been asked to leave a position? 3)If you were given the opportunity to choose a new career, would you, or are you happy with the choice you have made for yourself? What would your new choice be? 4)What motivates you to do your best on the job? 7)What have you done to improve your knowledge for the fast year? 8)What kind of person would you refuse to work with? 9)What do co-workers say about you? 10)What irritates you about co-workers? 11)What have you done to improve your knowledge in the last year? 12)What type of earnings can a person entering this field hope to make? An entry-level and a current maximum salary would be helpful. 13)Tell me about your ability to work under pressure. 14)What do you like least about your career? 16)What qualities do you look for in a boss? 17)Was it necessary for you to relocate to a town other than where you lived as a child on order to obtain this job? Did you relocate by choice or did you not have to relocate? 18)Does salary differ according to geographic areas? Why might this be? 19)What courses did you take that helped you in this field? What are the various methods of getting incremental records or delta records from the ource systems? After creating a variable, we can use it in any expression in a mapping or a mapplet. Als they can be used in source qualifier filter, user defined joins or extract overrides and in expression editor of reusable transformations. Their values can change automatically between sessions. These difficulties are eliminated by ETL Tools since they are very powerful and they offer many advantages in all stages of ETL process starting from extraction, data cleansing, data profiling, transformation, debuggging and loading into data warehouse when compared to the old method. 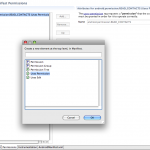 How do we extract SAP data Using Informatica? What is ABAP? click on this now give your SAP access user,client,password and filter criteria as table name(so it will take lessertime).Afetr connecting ,import the sap source. Now one important thing after finishing the map save it and generate ABAP Code for the map.Then only workflow will be running fine. ACTIVE Transformations:Transformations those can affect the number of records between Input and Output. Passive Transformations:Transformations those do not affect the number of records between Input and Output. Informatica Metadate is nothing but the source definition, target definition and the transformations that have been built. 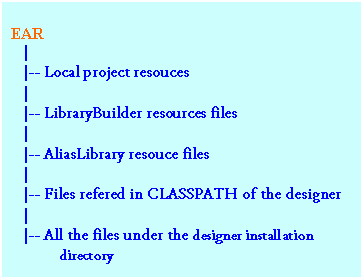 They are stored in the respository server and is managed by Repository manager of the informatica client tool. 1. Standalone Command task. You can use a Command task anywhere in the workflow or worklet to run shell commands. Latest Ver of Power Center is 7.1 and Informatica stopped marketing powermart product.So right now powermart is not available in market. Can we use procedural logic inside Infromatica? If yes how , if now how can we use external procedural logic in informatica? Rejection of records either at the database due to constraint key violation or the informatica server when writing data into target table.These rejected records we can find in the badfiles folder where a reject file will be created for a session.we can check why a record has been rejected.And this bad file contains first column a row indicator and second column a column indicator. Staging area is place where you hold temporary tables on data warehouse server. Staging tables are connected to work area or fact tables. We basically need staging area to hold the data , and perform data cleansing and merging , before loading the data into warehouse. What is a three tier data warehouse? When addressing a table some dimension key must reflect the need for a record to get extracted. Mostly it will be from time dimension (e.g. date >= 1st of current mth) or a transaction flag (e.g. Order Invoiced Stat). Foolproof would be adding an archive flag to record which gets reset when record changes. Materialized view is a view in wich data is also stored in some temp table.i.e if we will go with the View concept in DB in that we only store query and once we call View it extract data from DB.But In materialized View data is stored in some temp tables. The various ETL tools are as follows. OLAp tools are as follows. yes! it loads from heterogeneous sources..
Power Center : we can connect to single and multiple Repositories, generally used in big Enterprices. Power Mart : we can connect to only a single Repository. Mapping – represents the flow and transformation of data from source to taraget. Mapplet – a group of transformations that can be called within a mapping. Session – a task associated with a mapping to define the connections and other configurations for that mapping. Workflow – controls the execution of tasks such as commands, emails and sessions. Worklet – a workflow that can be called within a workflow. What are parameter files ? Where do we use them? connected lookup will receive input from the pipeline and sends output to the pipeline and can return any number of values.it does not contain retun port . Unconnected lookup can return only one column. it containn return port. ODS is the Operational Data Source which is also called transactional data ODS is the source of a warehouse. Data from ODs is staged, transformed and then moved to datawarehouse. ETL tool is ment for extraction data from the legecy systems and load into specified data base with some process of cleansing data. By Full Load or One-time load we mean that all the data in the Source table(s) should be processed. This contains historical data usually. Once the historical data is loaded we keep on doing incremental loads to process the data that came after one-time load. 1. reduces work involved with addition of new data. 2. reduces work involved with purging of old data. 2. Vertical partitioning (reduces efficiency in the context of a data warehouse). What are the various test procedures used to check whether the data is loaded in the backend, performance of the mapping, and quality of the data loaded in INFORMATICA. Explain the process of extracting data from source systems,storing in ODS and how data modelling is done. There are various ways of Extracting Data from Source Systems.For example , You can use a DATA step, an Import Process .It depends with your input data styles. What kind of File/database it is residing in. Storing ur data in an ODS can be done thru an ODS stmt/export stmt/FILE stmt, again which depends on the file & data format ,You want your output to be in. Additve: A masure can participate arithmatic calulatons using all or any demensions. Semi additive: A masure can participate arithmatic calulatons using some demensions. Non Additve:A masure can’t participate arithmatic calulatons using demensions. :Entity is nothing but an Object, it has characteristics.We call entity in terms of Logical view.The entity is called as a table in terms of Physical view. The Entity relationship is nothing but maintaining a primary key,foreign key relation between the tables for keeping the data and satisfying the Normal form. There are 4 types of Entity Relationships. In the Datawarehouse modeling Entity Relationship is nothing but,a Relationship between dimension and facts tables(ie:Primary,foreign key relations between these tables). The fact table getting data from dimensions tables because it containing primary keys of dimension tables as a foreign keys for getting summarized data for each record. Explain why and where do we exactly use the lookup tranformations. include the employee name in your target table to make your summary data easier to read. Perform a calculation. Many normalized tables include values used in a calculation, such as gross sales per invoice or sales tax, but not the calculated value (such as net sales). determine whether rows already exist in the target. What are push and pull etl strategies?Push and Pull strategies determine how data comes from source system to ETL server. Push : In this case the Source system pushes data i.e. (sends data) to the ETL server. Pull : In this case the ETL server pulls data i.e. (gets data) from the source system. ODS :-Operational Data Store which contains data . In our e.g lets consider that we have day level Granularity in the OLTP & Year level Granularity in the Data warehouse. If the business(manager) asks for week level Granularity then we have to go to the oltp and summarize the day level to the week level which would be pain taking.So wat we do is that we maintain week level Granularity in the ods for the data,for abt 30 to 90 days. 2.The work area where we apply our complex business rules. 3.Hold the data and do calculations. In other words we can say that its a temp work area. How you capture changes in data if the source system does not have option of storing date/time field in source table from where you need to extract the data? The DW database can be Oracle or Teradata. The requirement here is to pull data from source system and ETL need to device a mechanism to identify the changes or new records. The source system can be a legacy system like AS400 application or Mainframe application. List out all such methods of data capture. The ETL can be Informatica, data stage or custom etl code. If LKP on target table is taken, can we update the rows without update strategy transformation? In what scenario ETL coding is preferred than Database level SQL,PL/SQL coding? Data scrubbing process is difficult. That is, file contains date column like 20070823 but data warehouse requires date as 08/23/2007 in that case it is difficult. Just a few commands which we use frequently while on console. 1. snapshots may not be granular enough. 2. vmware is best in NFS than ISCSI. 3. Traditional backups disadvantages.. (i) dont match your VI (ii) No cpu power left on the server. 4. Recommended.. only 4 snapshot copies a day. 5. how SMVI works.. (i) Backup initiated. (ii) Vm snapshot copy created. (iii) Snapmanager for VI triggers instant NetApp snapshot. (iv) vm snapshot removed. 6. only VMFS/NFS support. No RDM support. 7. Protocols - ISCSI, FCP, NFS. 10. SMVI only support netapp storage. SnapManager provides rapid online backup and near instantaneous restoration of Exchange databases by using online Snapshot™ technology that is part of the Data ONTAP® software and integrating the Microsoft Exchange backup and restore APIs and VSS. SnapManager can also leverage the SnapMirror capabilities of storage systems to provide on-site or off-site SnapManager backup set mirroring for disaster recovery. · You can use SnapManager to create offline archives of Snapshot copies containing Exchange backup sets for long term or remote backup storage. The SnapVault software can be used to archive backup sets. * SnapManager does not support the capability to restore individual mailboxes or public folders. * SnapManager does not support SnapDrive versions prior to 4.2.1. * SnapManager does not create or restore backups of Microsoft Exchange databases that are stored on storage devices that are provided by companies other than NetApp. * SnapManager does not support Microsoft Windows 2000. * SnapManager does not restore Microsoft Exchange Server 2003 and Microsoft Exchange Server 2007 databases to an alternate location. * SnapManager does not backup and restore Microsoft Exchange 5.5 and Exchange 2000 databases. * SnapManager is not supported for use on Windows Server 2003 IA-64 edition. Vifs (Virtual interfaces) are used for multi-homing and load balancing. A Single mode vif is for failovers only and Multi-mode vif is for load balancing, but you can use a combination of multi-mode and single mode to be fully redundant and load balanced. For more information on VIFS please check the NetApp now site. To see more commands type the following at a command prompt. 1. How do check the status of VERITAS Cluster Server aka VCS ? 2. Which is the main config file for VCS and where it is located? 3. Which command you will use to check the syntax of the main.cf? 4. How will you check the status of individual resources of VCS cluster? 5. What is the service group in VCS ? 6. What is the use of halink command ? 7. What is the difference between switchover and failover ? 8. What is the use of hagrp command ? 9. How to switchover the service group in VCS ? 10. How to online the service groups in VCS ? 1. Name the mandatory disk group in VxVM 3.5 ? How will you configure VxVM in 3.5 ? 2. How will you create private and shared disk group using VxVM ? 3. Which are the different layouts for volumes in VxVM ? 4. What is the basic difference between private disk group and shared disk group ? 5. How will you add new disk to the existing disk group ? 6. How will you grow/shrink the volume/file system ? What is the meaning of growby and growto options ? What is the meaning on shrinkto and shrinkby options ? 7. How will you setup and unsetup disks explicitly using VxVM ? 8. How will you list the disks, which are in different disk groups ? 9. What is the private region in VxVM ? 10. If, vxdisk list command gives you disks status as "error", what steps you will follow to make the respective disks online ? Containers in Android Android like other language have containers, these containers hold components together to form the design of your application. Having knowledge in java and in other xml based design, you sometimes what to jump into knowing what the containers and components are. Here you can see 4 locations where you can put the icons, mainly top, right, bottom and left. The names are android:drawableTop, android:drawableRight, android:drawableBottom and android:drawableLeft. 1. Look at this series: 2, 4, 6, 8, 10, ... What number should come next? 2. Look at this series: 58, 52, 46, 40, 34, ... What number should come next? 3. Look at this series: 40, 40, 47, 47, 54, ... What number should come next? 4. Look at this series: 544, 509, 474, 439, ... What number should come next? 5. Look at this series: 201, 202, 204, 207, ... What number should come next? 6. Look at this series: 8, 22, 8, 28, 8, ... What number should come next? 7. Look at this series: 80, 10, 70, 15, 60, ... What number should come next? 8. Look at this series: 36, 34, 30, 28, 24, ... What number should come next? 9. Look at this series: 22, 21, 23, 22, 24, 23, ... What number should come next? 10. Look at this series: 3, 4, 7, 8, 11, 12, ... What number should come next? * can be used to create objects. 5.What are the revision control system options in TIBCO designer? A data warehouse can be considered as a storage area where interest specific or relevant data is stored irrespective of the source. What actually is required to create a data warehouse can be considered as Dataware housing Data warehousing merges data from multiple sources into an easy and complete form. ETL stands for Extraction, transformation and loading. That means extracting data from different sources such as flat files, databases or XML data, transforming this data depending on the application’s need and loads this data into data warehouse. Explain the difference between data mining and data warehousing? Data mining is a method for comparing large amounts of data for the purpose of finding patterns.Data mining is normally used for models and forecasting. Data mining is the process of correlations, patterns by shifting through large data repositories using pattern recognition techniques. Data warehousing is the central repository for the data of several business systems in an enterprise. Data from various resources extracted and organized in the data warehouse selectively for analysis and accessibility. What is an OLTP system and OLAP system? that supports and manges transactions which involve high volumes of data are supported by OLTP system. OLTP is based on client-server architecture and supports transactions across networks. OLAP stands for OnLine Analytical Processing. Business data analysis and complex calculations on low volumes of data are performed by OLAP. An insight of data coming from various resources can be gained by a user with the support of OLAP. Multi dimensional data is logically represented by Cubes in data warehousing. The dimension and the data are represented by the edge and the body of the cube respectively. OLAP environments view the data in the form of hierarchical cube. A cube typically includes the aggregations that are needed for business intelligence queries. What are the 2 sqlcodes that are returned? The word “interview” itself makes a person tense and nervous who needs to appear in the interview. It is normal human behaviour to become confused or get tensed but such things can be overcome with practice, learning from seniors and elders, through own experience. These days Internet is a rich source of information. In this cinterviews.com, you will find questions also along with answers which are frequently asked and questions pertaining to your requirement. Have a walk through in this site. It will improve you performance remarkably and infuse a high level of confidence in you. It will make you more frank and it will develope diplomatic qualities in you too. Overall, it will give an impetus to you personality development. The following are some frequently asked questions and answers in an interview. They are just suggestions feel free to adjust them to your personality and qualifications. You should have a prepared response to the frequently asked question Tell me about yourself. Your ability to recite your background in a brief 120-second format is vital to the interview process. The two-minute bio offers a quick peek into your background, strengths, and career direction. 1. Begin with a brief remark about your background, such as your schooling, hometown, or other items of interest. 2. State your most recent employer, job title, and years with the company. 3. Offer one or two sentences about your job responsibilities. 4. Mention one or two special accomplishments in your most recent positions, including skill strengths. 5. Refer to prior positions to indicate career progression. Rehearse your 2-minute bio until it flows naturally according to the guidelines above. WHY SHOULD WE HIRE YOU? The employer wants to hear your interpretation of the important aspects of the job. If you spend your interview for a retail sales position extolling your virtues as a computer expert you aren't likely to convince the interviewer that you have the skills needed to sell merchandise. This is an opportunity question: an opportunity to tell how well your skills match the company's needs. If the search is for a super salesperson, tell how well you have honed your skills in persuasion, communication, and perseverance. Give an example of a time that you made a successful sale, or that you convinced someone to do something, or when tenacity paid off. WHY DO YOU WANT TO WORK FOR OUR COMPANY? This is where your research of the company comes in. In today's world of instant information, we can no longer get away with going into an interview without first having researched the company. The company in turn wants to know if you have done your homework. This question allows you to show off the research you have done on the organization. Tell the interviewer you like the company's size, location, aggressive market stance, competitive thinking and creative business policies. It is perfectly acceptable to admit that you looked up the company on the Internet or in the reference section of the library. This shows that you know how to find answers to questions and arm yourself with information. WHERE DO YOU SEE YOURSELF IN 5 YEARS? Occasionally an interviewer unearths some important information regarding a potential employee's longevity by asking this question. If you plan to go to graduate school, take a vacation tour, or move to a distant state, do not mention these plans to the interviewer under any circumstances. You will be considered a hiring risk no matter how strong your skills. Remember that the main concern throughout the interview is to fill the open position with someone who will be successful in it. Say something like, First, I'd like to gain a solid foundation in the position you are considering me for, so that I am effective and successful in it. I'm sure that as I continue to grow, there will be opportunities within the company to offer me upward professional growth and new challenges. WHAT ARE YOUR GREATEST WEAKNESSES? It is unlikely that most interviewers are straining their ears to hear your list of weaknesses. They simply want to see how you handle the question. Some job candidates can get away with an answer like, While I certainly have weaknesses, I don't believe I have any that are significant to the position. As you've described the position to me, I think it would allow me to call upon my strengths. If you don't feel you could pull that off, name a weakness that is first, not closely related to the position for which you are interviewing, and second, a technical skill that you can easily learn rather than a shortcoming in your personality, which is very difficult to change. Then tell the interviewer how you are working to improve your weak spot. TELL ME ABOUT A PROBLEM YOU'VE FACED AND HOW YOU HANDLED IT They want to assess your analytical skills as well as your ability to relate a delicate situation with tact and diplomacy. To prevent yourself from stumbling and fumbling for a good response, prepare one before you set foot in the interview. Your answer should involve a clear presentation of the problem, the steps you took to correct the problem, and the results of your actions. Remember to keep it to less than two minutes. WHAT ARE YOUR GREATEST STRENGTHS? The interviewer is hoping to hear that your strengths match the needs of the job. He or she also wants to know how you present yourself and will watch warily for overconfidence, boastfulness, dishonesty, and lack of assertiveness. This is an opportunity to highlight your strong points, so make the most of it. Speak of one or two strengths and then offer examples of how you have used these strengths. WHAT INTERESTS YOU MOST ABOUT THIS JOB? The interviewer is looking for your areas of enthusiasm “ where you will put the most energy into the job. Make sure your strong areas match the needs of the company's needs. Answer this question with a question. Ask the interviewer to clarify the position for you before you answer, so that I can be sure not miss any key aspects of the job. Then match your interest areas with the key components of the job. Question: What are PIDs? - They are process IDs given to processes. A PID can vary from 0 to 65535. Question: How do you refer to the arguments passed to a shell script? - $1, $2 and so on. $0 is your script name. Question: How do you do Boolean logic operators in shell scripting? - ! tests for logical not, -a tests for logical and, and -o tests for logical or. Question: How does getopts command work? - The parameters to your script can be passed as -n 15 -x 20. Inside the script, you can iterate through the getopts array as while getopts n:x option, and the variable $option contains the value of the entered option. 7 layers of the OSI Reference Model? Write a fucntion that will reverse a string?